Patrick litigates a wide range of matters and defends clients in complex business litigation, insurance disputes, contract disputes and appellate issues. 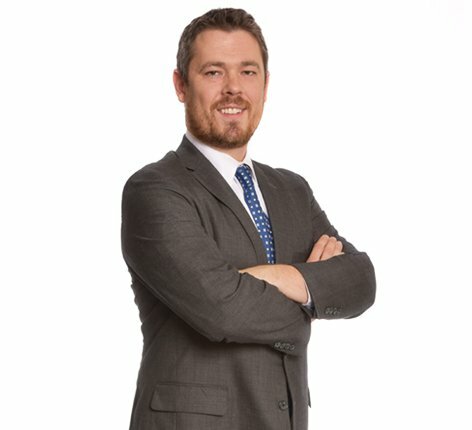 He has over a decade of experience handling all aspects of complex insurance and commercial litigation, including insurance coverage, bad faith, employment disputes, intellectual property, and toxic tort. In addition to extensive trial experience, he has won dozens of dispositive motions, served as appellate oversight counsel, and frequently supervises post-trial proceedings regarding issues likely to give rise to appeals. Patrick’s experience in appellate practice qualifies him to help clients navigate the changing courts. He has also prepared hundreds of coverage opinions to insurance clients and has helped insurers successfully navigate changing laws and judicial temperaments. He has briefed and argued cases at the state Court of Appeals and Supreme Court levels and in the United States Court of Appeals and has a very strong record of success despite the shifting judicial climate. Patrick’s commitment to excellence began well before he started his legal career. As a vocal music major in college Patrick learned a lot about logic, organization and performance - all skills he relies on as an attorney. He uses those skills to help clients resolve difficult issues. He always wanted to be a problem solver and for him there is nothing more gratifying than finding the right solution and putting his clients at ease. When Patrick is not in the office, he loves to be outside. As he puts it, he never stopped playing in the dirt. Community gardening is one of his favorite hobbies; he is a certified Master Gardener and is on the Corporate Council and the Young Friends Council of the Missouri Botanical Garden.